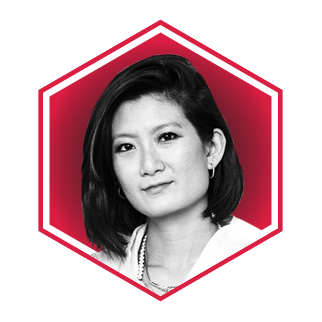 A modern day multi-media visionary, Elaine Yan Ling Ng brings together textiles, electronics, biominicry, (design based on the principles of nature and biology), and interiors as founder of Hong Kong’s The Fabrick Lab. Creating stunning art pieces and installations that represent a diverse cross-section of contemporary design, The Fabrick Lab’s mission is to create and design experimentally smart textiles to challenge our perception of what is natural and versus man-made. Graduated with distinction from Central Saint Martins School, Wired UK described Elaine as ‘The Chinese designer [that] creates materials that move and grow like trees – but faster.” In 2016, she received a Hong Kong Design Trust grant for her project Un/Fold, which helped Guizhou village craftswomen preserve ancient fabric-weaving techniques through modern products. Currently, Eliane is focusing the creation of sustainable materials through empowering women, by using local materials and harnessing heritage craft techniques. For Sensus, a project commissioned by Hong Kong Design Centre in 2017 and exhibited at the influential Salone del Mobile design fair in Milan, The Fabrick Lab brought together designers, robot engineers and knitted textile programmers to showcase cutting edge technologies in three living prototypes.